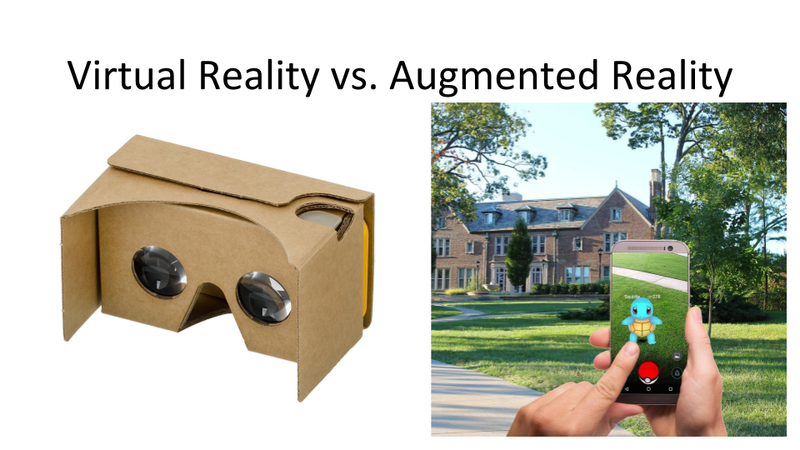 Go to any educational technology conference or ed tech blog today and you are bound to encounter augmented reality and virtual reality products. They’re the hot topics of the day in the educational technology industry. Every week I answer questions from readers about AR and VR. One of the patterns I've discerned from answering those questions is that a lot of people aren't clear on what AR and VR really are what is different about the two technologies. Here's a concise overview of AR and VR. Plum's Creaturizer from PBS Kids is a free iOS and Android app that lets students create fun cartoon creatures and then place them into outdoor settings through the use of augmented reality. The purpose of the app is to have students learn and show how the characteristics of an animal help it thrive in its environment. Google Expeditions has AR and VR experiences. The AR content in Google Expeditions lets students view and manipulate digital content in a physical world context. The AR content can be used as components in science, math, geography, history, and art lessons. Some examples of the more than 100 AR experiences that you'll find in the app include landforms, the skeletal system, dinosaurs, ancient Egypt, the brain, and the Space Race. The Smithsonian has a neat VR app called VR Hangar. The app, available on iOS and Android devices, contains three virtual reality tours about landmark moments in aviation history. Those moments are the Wright Brothers' first flight, Chuck Yeager's record-breaking flight in the Bell X-1, and the Apollo 11 mission. You can use VR Hangar with or without a VR headset, but it is much better with a VR headset.